Walking along Newfoundland's coastline, Sea Urchins (Echinoids) can be found everywhere. Their	exoskeletons can be picked up off the beaches and tidal pools. I have found Sea Urchin exoskeletons that range from light green to dark purple and some of them have baby blue hues blended in. As for size, I have found them as small as 0.25" and as large as 3.5" in diameter.... But finding the "perfect" Sea Urchin shell is a challenge. In search of the "perfect" Sea Urchin exoskeleton...... finding a Sea Urchin exoskeleton on a beach that is intact is definitely brownie points. But to make it a truly rare find is to discover a Sea Urchin exoskeleton that also has the mamelon structures of the Tubercles intact. This is the articulation surface for the spine and is identified by its ball like structure. The spine, in turn, has a complementary socket. The mamelon structures usually get chipped or break off as the Sea Urchin shell rolls in the surf. I found my "perfect" Sea Urchin shell in Cavendish Beach, Newfoundland. Several times every summer I visit my friends summer home... We have a beach fire or two and have a great time (lots of BBQs). 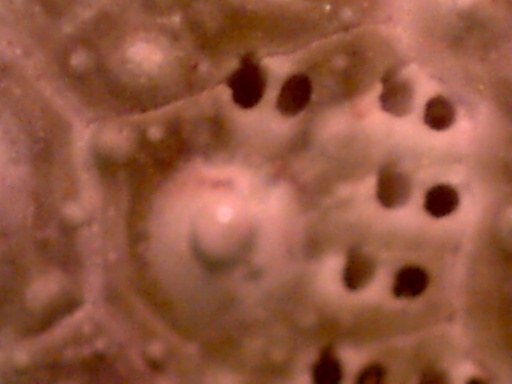 One day I was beachcombing and came across an almost perfect Sea Urchin shell (one mamelon structure missing). It was quite large and it would have been ashame to let it crumble in the pounding surf. So I accepted responsibility and adopted it. At the time I did not know what I was going to do with it... But I was going to take care of it. I have to admit that I am completely smitten with the creativity of Nature... 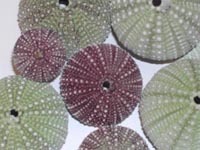 It is just unbelievable that such beauty resides in the physical laws of reality... Sea Urchins and their shells have to be one of the most awe inspiring evolutionary creations. Sea Urchin fossil records first appear around the late ORDOVICIAN Period some 450 million years ago, with their numbers peaking in later periods at about 20,000 species. Today, there are about 800 species. Just take a close look next time you have one in you hand... Amazing, .... Totally amazing! Well a couple of years had passed. By this time I was making pewter products... And one day... TaDaaaaaa!... 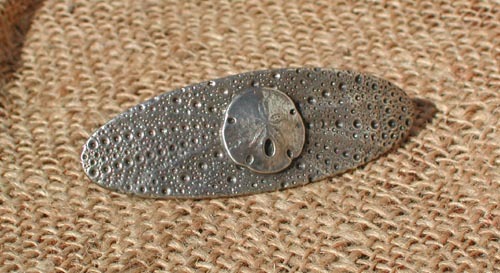 I knew what I was going to do... Make my third pewter hair barrette and base it on the Sea Urchins skeletal morphology.. I made an impression of my Sea Urchin immediately...Observed it for a few days. But something was missing...The skeletal texture was amazing... but something was still missing... it was an artistic thing... can't really be explained. The design needed a center medallion of some sort. A central attraction to complement the barrettes visual appearance, something subtle.... Soon after I realized that a mini Sand Dollar would be the Sea Urchins companion for life. 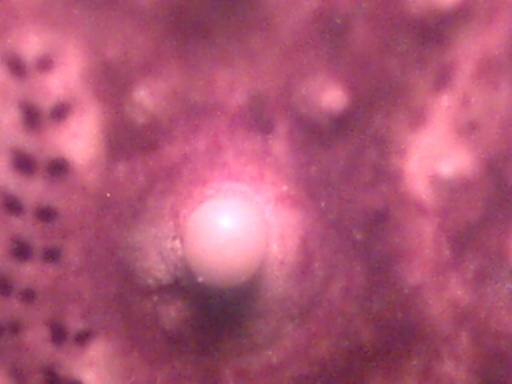 Two Echinoids have to be better than one! But finding a Sandollar in Newfoundland is a bit more challenging. They are mostly found on the island�s West Coast... I did find one eventually but it was too fragile to cast. So I hand carved a sandollar out of wax and used clay reductions, at about -13% per pass, to shrink the design down to the right size. 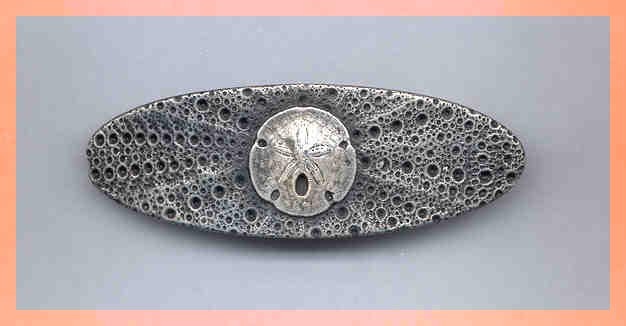 I then placed it in the center of the Sea Urchin barrette design..
.....And there it was, the final design concept of my thrid pewter barrette. This combination is my tribute to the beauty of the Echinoids family. The details are naturally vivid and the Pewter will last forever.